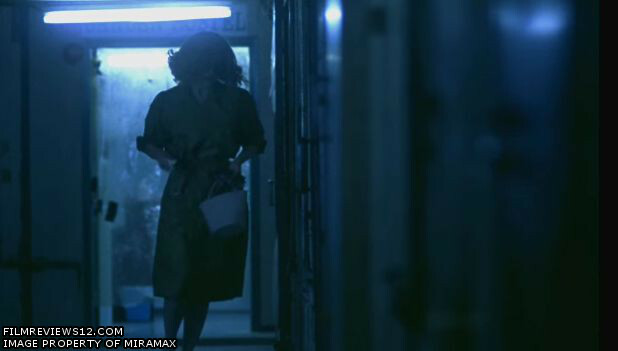 The very beginning of Wong Kar-Wai’s Chungking Express lays out one of the most singularly mind-boggling aspects of human interaction – on a typical day, walking down the street, how many people do we pass? Tens? Hundreds? In a dense city, thousands? Many of them are strangers, and an extreme majority we will never see again. To use a movie metaphor, they are extras in the film that is our life. We are extras in somebody else’s film. We are insignificant passers-by, simply fulfilling the need to have other people around. But there are those individuals that will come back – another place, another time, and they will become more than just a face – they will become an active part of our life. You never know who it will be. The city of Hong Kong is home to seven million people, all in the tightly packed 426 square mile region (this amazing photo album from Michael Wolf shows us just how tight). It’s a pretty safe bet that the number of people you’ll see in one day in the region is seemingly limitless. And that’s what Chungking Express is all about – connection, by chance, of people who are lonely even in the presence of such a remarkable population. There are two stories here. The first one concerns He Qiwu (Takeshi Kaneshiro), a cop better known by his badge number: 223. At the beginning of the month (April), he and his girlfriend May broke up. Every day he has bought a can of food set to expire on May 1, which becomes increasingly hard to find as the shopowners replenish their stock with newer goods. He says that if he and May cannot reunite by that day, then their love will have expired, just as the food will. Pretentious, yes, but interesting nonetheless. But of course things aren’t that simple. 223 meets a woman in a blonde wig (Brigette Lin), who, unbeknownst to him, was the same woman he had bumped into earlier while pursuing a suspect on foot. They meet at a bar. He’s beside himself, looking for anyone. The woman herself, although never named, has mixed connections to smuggling rings, which 223 never fully realizes. Their meeting is limited in time, yet vital to the life events of both. A recurring setting from this storyline (a snack bar of sorts) segues into our second plot, which focuses on an employee from there (Faye Wong), and her attempts to change the life of another police officer (Tony Leung Chiu-Wai), also identified by his badge number (663). As these plot threads move and evolve, ideas and similarities become clear, with an underlying set of points holding true throughout. Wong’s visual approach speaks the words and themes of his script. Using handheld cameras, jerky shots, and indirect framing, at times bordering on the voyeuristic with the way he films through doorways and windows, there is a feeling of disconnect and distance that comes through in the aesthetic, in much of the same way that the characters exist individually, as well as the similar-yet-not-similar quality of the two stories. The editing is quick and manic, pasted over 103 minutes in an incidental, matter of fact way. Comparisons to French New Wave filmmakers, especially early Jean-Luc Godard, are not far fetched, in a stylistic scheme explainable in part because this film was shot rather spontaneously (the pages filmed each night were often written by Wong only hours earlier during the day), in the midst of a break from production on the director’s more belabored project, Ashes of Time – making Chungking Express a kind of artistic jog that he used to clear his head. The question for me still remained, in spite of the cleverly simplistic-seeming storytelling that gives way to far more philosophical food-for-thought, as well as the unique visual characteristics, was how involved I felt with the characters and their interactions – and it ultimately wasn’t as much as Wong clearly wanted me as a viewer to be. I recognized their struggles, and was captivated by their separate personalities and aspects, but the more I watched, the more I realized that it was the qualities of the film itself that I admired more than the characters and the human core that is so key to a full appreciation of it. It stopped short of impacting me in a total way. Perhaps this was a fault of my own, or the mood I was in when I watched it, which led me to this conclusion, but this initial viewing left me colder than I ultimately wanted to be. Transfixed with images and sounds (“California Dreamin’” by The Mamas and the Papas and Faye Wong’s Mandarin language cover of “Dreams” by The Cranberries are continual aural callbacks), Chungking Express shares equal levels of interest in sensory and emotional input. While it may seem at first that Wong’s film is disjointed or sloppily cut, initial appearances prove drastically misleading, and the most remarkable revelation of the movie is just how well measured and thought out everything is in the end. It’s an exercise in storytelling and filmmaking that you pretty much owe yourself to see once (unless you’re chronically subtitle-phobic, that is) – but at the same time, it’s also something that has the feeling of growth and development in subsequent viewings down the road, where new details can be brought to light, layers can be uncovered, and feelings can be reassessed.